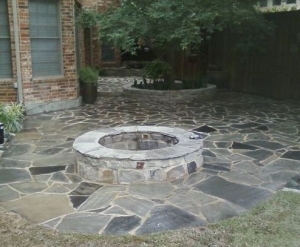 McFall Masonry & Construction creates outdoor living retreats that make you never want to leave home! Our design / build team has 30 years of experience transforming outdoor living spaces into beautiful, functional retreats. 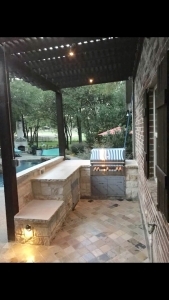 Whether you’re interested in a basic or specialty deck, outdoor kitchen or fireplace, one-of-a-kind shade arbor or other unique brick or stonework project, we have the expertise and craftspeople to create your dream oasis. 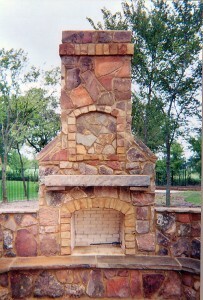 We specialize in building beautiful outdoor kitchens, fireplaces and stonework barbecues. Outdoor kitchens and fireplaces have become very popular and many new homes are being built with one or both at the edge of their patios. McFall Masonry & Construction builds everything from basic BBQ grills with simple cooker inserts and small counter spaces, to elaborate concrete, granite, stone, or tile countertops with large grills, sinks, cabinets, refrigerators, trash compactors and any other appliance you can imagine! 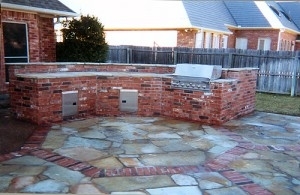 We also offer wide selections of veneer in brick, rock and stone. 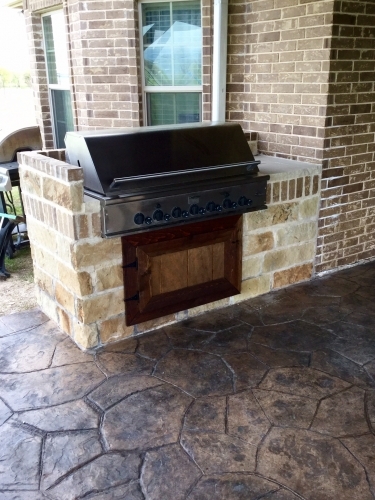 We construct our built-in BBQ grills correctly, with deeper foundations for the larger kitchens. 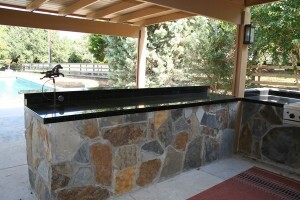 We often build benches and attached bar areas to our outdoor kitchens and BBQ grills for entertainment purposes. Our outdoor fireplaces will be designed to be a literal extension of your home. Both wood-burning and gas-burning fireplaces are available. The foundations and firebox construction are extremely important. If not done correctly, possible explosions can occur. Also, the location, size and height are important considerations for smoke reduction. 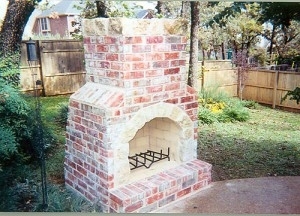 Fireplace styles vary widely and we have lots of designs to show you. Contact us today for more information about our professional brick and stone masonry services and to schedule a design consultation where we can discuss your vision and goals.